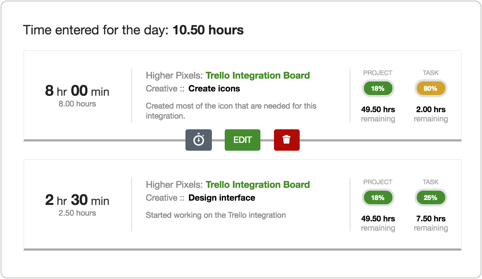 Integrate Tick with your Trello account to add time tracking and budget feedback into your project management workflow. It just takes a minute to setup! Connect your Trello Organization to your Tick account and bring each Trello Board in as it's own Tick project. Invite the whole team with a quick user import to make sure that everybody is on the same page! 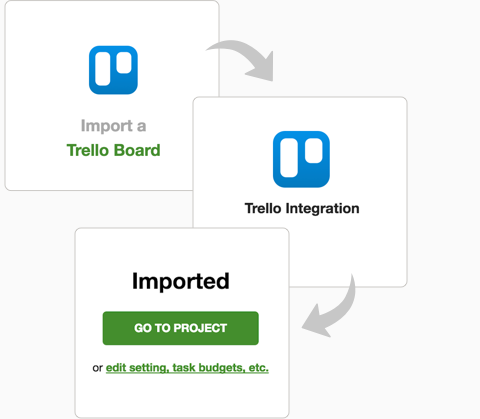 Automatically import all of your Trello Lists or Cards into Tick as tasks. Now your team can track exactly what they were working on. Setup Tick budgets for each task so you know exactly how much time your team has left to accomplish your goals. Every time anybody on your team enters a time entry, Tick will give you instant budget feedback. 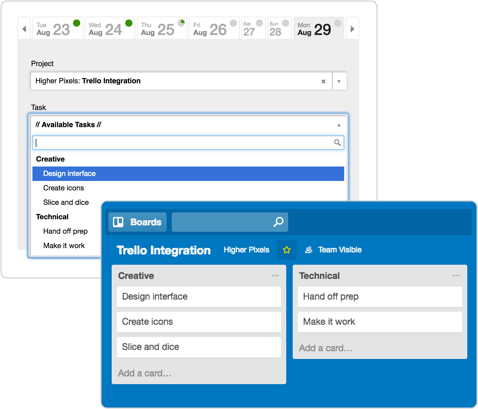 Keep your Trello projects on time and under budget.